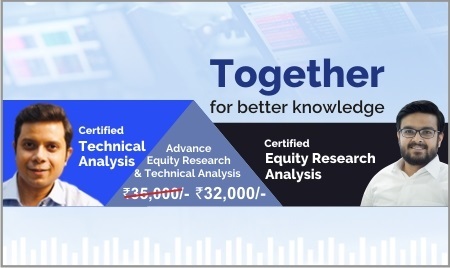 This Super Combo course covers both the advanced fundamental concepts of Equity Market and Technical Analysis in an easy to understand way. This is a perfect blend of theoretical knowledge & practical expertise of choosing the right stocks and taking the right decision in the stock market. 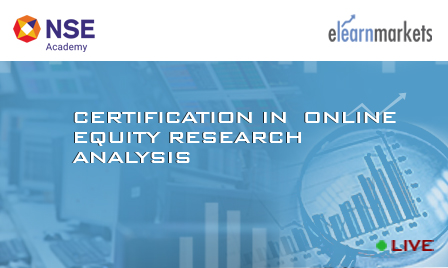 The Equity Research Analysis course covers fundamental analysis, where you will learn the qualitative and quantitative aspects of company analysis. The course will provide end to end knowledge on how to value a company from scratch. 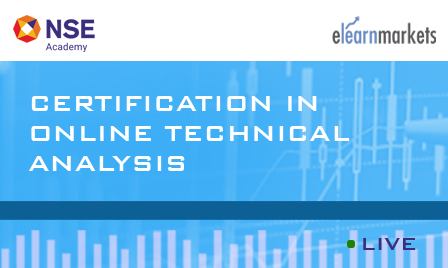 The Technical Analysis course covers all aspects of Technical Analysis. You will learn about technical charts, trading patterns, trading tactics, trading psychology, money making techniques, and how to manage the trading risks. Joint certification from NSE Academy by Kredent Academy. Free access to all related webinars conducted by Kredent Academy. A provision of interacting with Mr. Abhijit Paul, the Master of Trading. Participants. An opportunity to attend mock trading sessions. An email query support, Question & Answer community platform can also be availed by the students. Who wants to become Equity Research Analyst. New Investors, Retail Traders, Brokers and Sub-brokers, Financial Service Professionals shall also be benefited from this course. This programme will equally benefit those who are ambitious about becoming successful long-term investors. Internship- Practical internship of 16 hours available for the students at an additional fee of INR 10,000 + 18% GST.